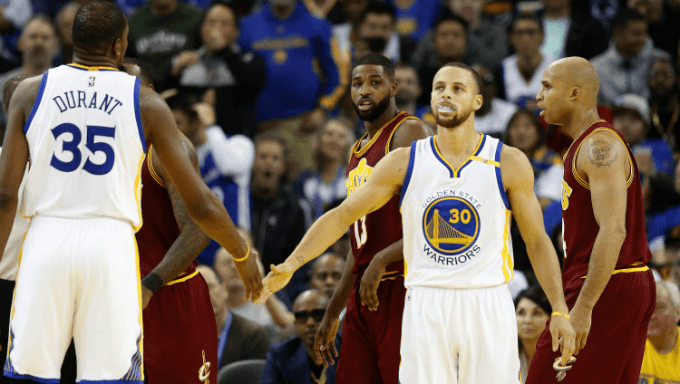 There are a handful of tips to consider when betting NBA point spreads, the most popular NBA betting market around the world. From venue to scheduling to injuries and player trends, you can put yourself in the best position to earn a win if you're willing to consider these factors when wagering NBA spread bets. Contrary to popular belief, home teams don’t hold an advantage when it comes to the point spread. True, in terms of head to head the home team is far more likely to win; from 2008 to 2018 home teams won better than 59 percent of regular season and playoff games straight-up. But in regards to the point spread, from 2008 to 2018 home teams covered just 49.2 percent of the time. It actually paid during that 10-year stretch to bet the road team. And in that same 10-year span, there wasn’t all that much distinction between home favorites and home underdogs. Home favorites covered 49.4 percent of the time, while home underdogs covered 48.4 percent of the time. This isn’t necessarily grounds to simply hammer the road team; it’s more an indication that oddsmakers take into account a team playing at home. They’re more likely to win, but it’s a toss-up whether they’ll cover. In recent years the NBA has lengthened its season to help with the rigors of the traveling schedule to keep players healthy and, more importantly, on the floor. So while back-to-backs and four games in five nights are becoming rarer, comparing each teams’ rest schedule is important. Giving the nod to a team with an additional day of rest is a smart play. Or, again, a team that is playing the final game of a clumped-together stretch of the schedule. The same goes for a team on the tail end of a road trip. Though home teams are no more likely to cover than a road team, the road team is – by definition – traveling. If they’ve been doing it for a handful of days then it becomes significant. Like everything in the gambling world, context is critical. Oddsmakers take serious injuries into consideration when making their lines. If James Harden suffered a sprained ankle and has been ruled out for the remainder of the week, that’s been taken into consideration with the spread. But as the NBA in general continues to find more rest for its stars, day-to-day injuries arise that leave plenty of players with questionable tags heading into gameday. Sportsbooks hedge on whether someone who would change the line will play, but you’ll see a spread plummet (or rise) if said player winds up playing or not playing. The best indicator – in this author’s experience – of determining whether someone will play is his participation in that morning’s shootaround. All teams have them, unless they played the previous night, so reporters from those teams will have updates on whether a player was active. The shootarounds are no more than getting a few shots up, going over scouting reports on the opposition and running through a handful of plays and sets the team will use that night. But they’re important, and more often than not it gives a good read on a player’s status. In scenarios where teams are playing on back-to-backs, it’s probably safer to err on the side of caution and assume a player is out if he played the previous night. There’s no exact rhyme or reason to a player sitting or not. But shootaround should give you a clear idea to where a team is leaning on playing or resting a player. These are professionals, and they don’t like underperforming. And perhaps oddsmakers overvalue a winning team or underestimate a losing team, but there is a small trend within it. From 2008 to 2018, teams coming off a straight-up loss covered the next game 50.5 percent of the time. That may not seem like a huge advantage, but consider that a team coming off a win covers the line in their next game just 49.4 percent of the time. More often than not the highs aren’t that high and the lows aren’t that low over the course of an 82-game season. It’s lowest on our list for a reason, and it’s not to say that losing streaks don’t happen, but teams will find ways to keep it close.